New and exclusive to Bents, available online only, our new Bella Vita garden furniture selection includes the perfect pieces for casual dining and relaxing in the garden. Crafted from all-weather wicker, all our pieces are perfect for indoor or all-year outdoor use, whether it's enjoying tea for two, entertaining in the garden or lazy days in the summer sun. 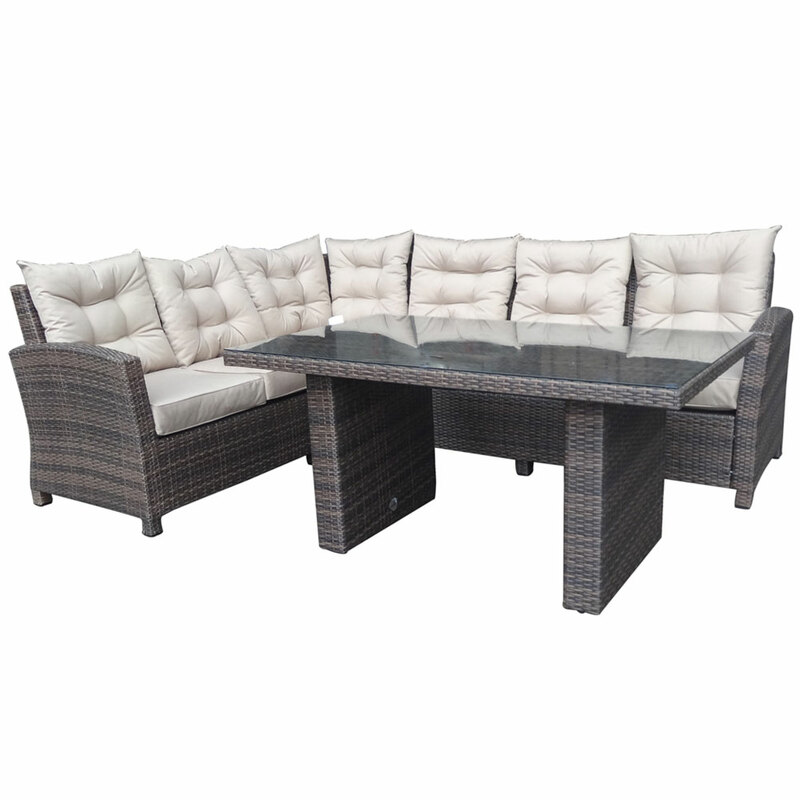 Bella Vita Corner Suite includes: x1 - Bella Vita Corner Left Bench x1 - Bella Vita Corner Right Bench x1 - Bella Vita High Dining Table Weave Colour: Espresso Cushion Colour: Fir Beige Features: - Suitable for whole year outoor use - Handwoven polyrattan, lighter and more durable than rattan - Maintenance free - UV protected - Assembly required Dimensions: Corner L: H84 x W70 x L194cm Corner R: H84 x W70 x L174cm Table: H89 x W85 x L140cm Available for Furniture Delivery or Click & Collect only. https://www.bents.co.uk/n-a-kitset0042 973 Bella Vita Corner Suite https://www.bents.co.uk/media/catalog/product/k/i/kitset0042-2.jpg 999 999 GBP OutOfStock The stylish woven Frampton Cushion Box is complete with water resistant liner.